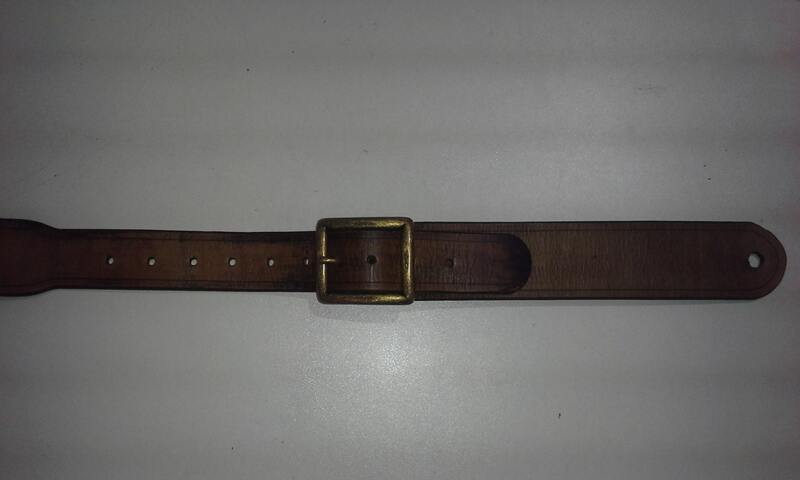 This listing is for a one of a kind heavy duty guitar strap in a hand dyed "Antique Brown" color. 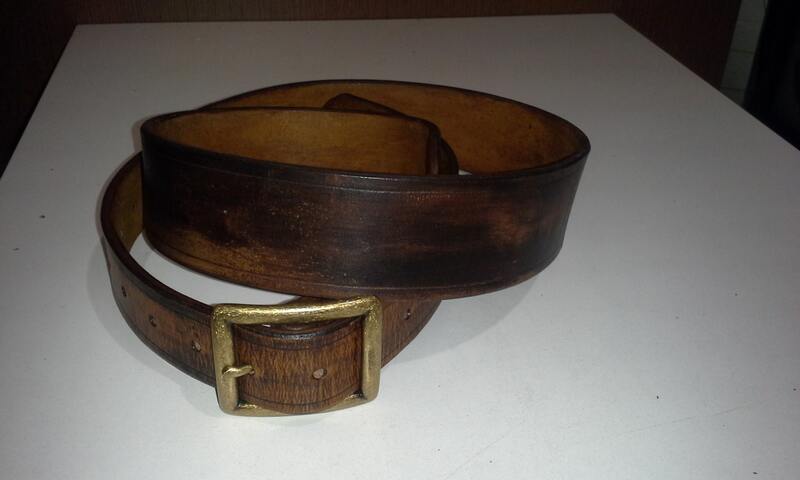 It is essentially identical to my regular guitar strap, but is made out of 10 ounce vegetable tanned leather and given a distressed brown dye to give it an old, worn look. 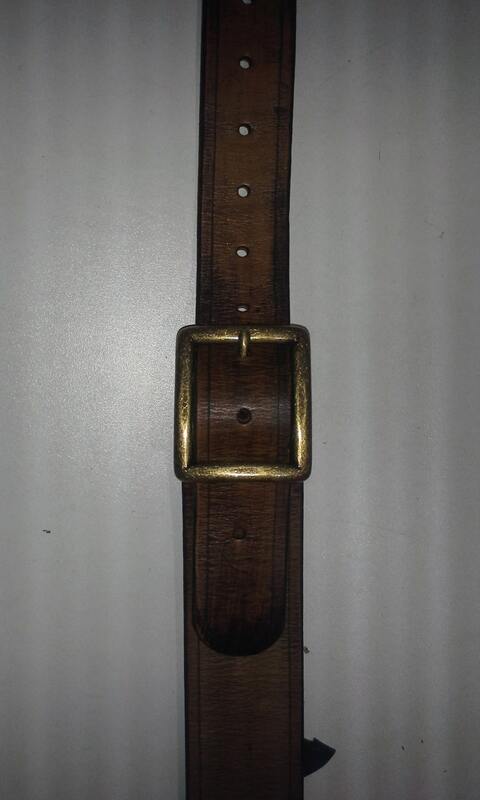 The strap is adjustable via a removable "antiqued" brass buckle and can be adjusted from 47" to 57". As with the regular strap, this strap is available with or without strap locks.